It’s anticipated that eBay is to close its operations in its Dundalk facility in the second quarter of 2017. A sign from the eBay headquarters in Blanchardstown in Dublin. 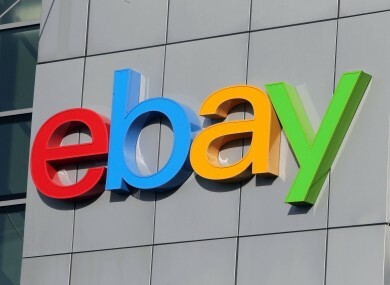 THE PRESIDENT OF the Dundalk Chamber of Commerce has said that eBay staff are devastated following the announcement that the company will cease its operation there. Speaking this morning on RTÉ’s Morning Ireland, Michael Gaynor said that the company leaving the town would have a negative impact on employment and could damage Dundalk’s reputation. “This is very, very worrying,” said Gaynor. eBay announced yesterday that it was served notice by PayPal to end its tenancy in the facility both companies shared in Dundalk. It’s anticipated that eBay is to close its operations in the Dundalk facility in the second quarter of 2017, with job losses for 150 people. Gaynor said that he had heard that some eBay staff members were “openly crying” following a meeting with the company yesterday. Speaking to RTÉ reporters yesterday, staff members expressed their concern over the announcement. “They told that we are being made redundant at the latest at the end of June next year and they’re not setting up anywhere else in Ireland,” said one woman. “Our jobs are being spread out across the rest of Europe. “It’s a big shock… All of us were expecting they’d find a relocation in Dundalk somewhere, and that just obviously hasn’t happened . The woman said that ”crying, frustration, devastation” were the reactions from staff after the announcement from the company. When asked how she would cope financially, the woman said she had “absolutely no idea”. Other Dundalk people said they were worried and saddened by the announcement that the company was leaving the town. Gaynor said that any job losses were “a major concern to the town”. Unemployment numbers in Louth and Dundalk fell by 10% since 2015, but Gaynor said any job losses would upset the growth in the town. “Although the figure has dropped… Dundalk has been a traditional unemployment blackspot,” he said. So any job losses will certainly destabilise these strong growth figures that were shown between 2016 and 2016. Following eBay’s announcement yesterday, PayPal reaffirmed its commitment to its Dundalk operation. The company said it would be moving into the space vacated by eBay in the facility as it expands its operation. PayPal currently employs 2,600 people across two sites in Dundalk and Dublin. It is believed that the company will announce further jobs in Dundalk as it expands. Gaynor said that the company was very important to the town and that he hoped PayPal would provide more jobs as it expands. “We will certainly always be hopeful… but we still don’t know,” he said. Email “"Crying, frustration, devastation" - eBay staff react to announcement of Dundalk closure”. Feedback on “"Crying, frustration, devastation" - eBay staff react to announcement of Dundalk closure”.